May – the start of the summer movie season! Anyone old enough remember when May wasn’t considered part of the summer movie slate? Yeah, it used to be summer started in June. You know, like when the actual summer solstice happened, coinciding with the astrological calendar and the alignment of the Earth to the sun and all that. Forget all that jazz, that way of thinking is so last century. Hollywood has decided to make their own decisions as to when ‘summer’ will begin! Heck, why wait all the way until June when they learned movie fans will go see big-budget popcorn movies earlier. They’ve even begun rolling out their big movies in April! But since I’m hesitant to expand my definition of ‘summer movies’ into April (plus I don’t really care about a new Fast & Furious movie), let’s just begin with May and the movie almost every human is anxious to see. The start of the summer movie season will begin with what most movie fans would predict will be the biggest, most popular movie of the year. Here, comes Marvel again…. The Marvel machine shows no sign of slowing down and this sequel to The Avengers will probably steamroll over everything for at least the month. All our heroes are back, along with some new characters. Plus, throw in a deadly robotic villain who looks like he’ll be causing some massive epic destruction onto the world who sounds like James Spader. Fortunately, the Marvel world has the Avengers who are the only ones who can possibly stop him. There has been so much written and speculated about this movie for so long – and there’s sure to be plenty more talk as Marvel’s phase three begins to take shape, that there’s little point in me trying to add anything to it all. Let’s leave it at – I’m as excited as everyone else to see this and am hoping it won’t disappoint. It seems impossible to stop all these zombie outbreaks from happening and filmmakers wanting to tell stories about them. This time a midwestern girl (Abigal Breslin) gets infected and is on the path of becoming a full-fledged zombie and all the while her father (Arnold Schwarzenegger) tries to protect her from scared folks who want to put her down. This certainly looks to be a change of pace for Arnold. Had this been twenty-five years ago it probably would have been much more action oriented with him busting zombie heads and causing lots and lots of explosions. But that doesn’t seem to be the route this movie is going to take and looks to be counting on Arnold to give a performance – at least that’s the way the ads are making things sound. Will Arnold fans like this older, more peaceful Arnold? I’m betting not really. He’ll probably get some credit for trying to change things up, but I doubt many fans will be running to the theater for this. Fans are probably more anxious to see that new Terminator movie. Plus, the zombie thing has reached such an overdone breaking point that unless it’s a real interesting take on it people might not feel too compelled to go check this out. Maybe it will be a worthwhile rental. 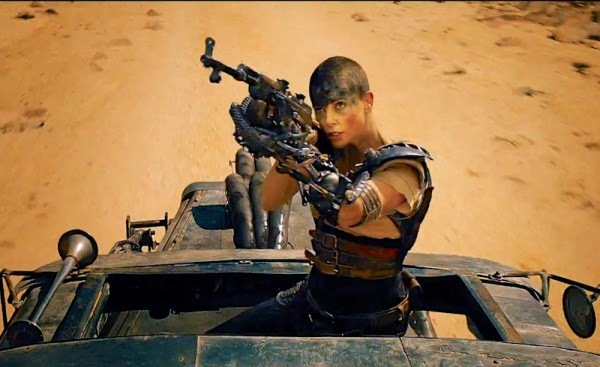 Director George Miller returns to his post-apocalyptic future (do we have any others to look forward to?) with plenty of open roads, souped up vehicles and scary bad guys. Traversing this desolate landscape is the return of the tortured hero by the name of Max, who’s just looking to find some peace after the murder of his wife and child. Tom Hardy steps into Mel Gibson’s leather outfit. The trailers are showing a lot of high speed chases with added CGI excitement, but really it has left me feeling nothing about this movie. I’m feeling indifferent of what I’ve seen so far and this really doesn’t look that special and I don’t have high hopes for it. So is this a reboot, a sequel or something completely different? I’ve heard the words ‘relaunch’, ‘revisit’, ‘retake’. It’s getting to be ‘RE’-diculous. I have no idea what anyone is talking about and really haven’t bothered with trying to get a clear answer to any of that. A lot of the early comments about it from Miller and the studio seemed to contradict one another. It started to sound a bit like all that Prometheus (which also starred Charlize Theron) jargon where Ridley Scott was saying it was only taking place in the same Alien universe and wasn’t a prequel to any of those films. And then when we saw the movie it clearly was a prequel. So I’m guessing they’re just trying to keep things vague and no one wants to commit to defining this movie in any way. Just shoot the movie and we’ll figure that out later. Maybe this one will be a more satisfying flick from an original director returning to the franchise he created years later – it has to be better than Prometheus right? A teen girl discovers an extraordinary world outside our time and space and dimensions and reality and minds and whatever else you can come up with to explain this strange premise. I’m betting George Clooney will make sense of it all. This is looking to be a pretty bizarre sounding movie. I’m not sure what to make of it. At first it looks like another big-budget Disney film that isn’t going to click with audiences – this years Lone Ranger. It also appears to be one of those sci-fi movies designed and hoped to be a hit (Enders Game, Tron Legacy and Disney’s John Carter) that never was. But then again this is directed by Brad Bird who has had a pretty darn good track record and a sci-fi movie that actually doesn’t envision a bleak, desolate future – that sounds like refreshing change of pace. On the other hand Damon Lindelof had a hand in the screenplay. I’m predicting the movie may be entertaining, but it’s not going to be able to hold up against the other movies around this month. There’s the off chance it might get some good word of mouth mileage, but if I had to hedge my bet I’d say it will disappear relatively quickly. Not surprising there’s some new horror remakes this year. Well, here’s one that has escaped the ‘remake happy hands’ of Hollywood since 1982 – but now its time is up! Craig T. Nelson and JoBeth Williams now look like Sam Rockwell and Rosemarie DeWitt as a married couple who move into a brand new home. It all looks promising until some evil forces begin to wreak havoc on them and their children, especially their young daughter who they want to play some serious interactive TV with. It’s all the same complaints about this remake of a classic film that we’ve gone through countless times before. It’s banking on reusing the images from the original (the TV, the clown doll, the scary closet) and hoping it’s going to all work again. Will it? A lot of what made the original so memorable was the actors. Who can forget Zelda Rubinstein and her voice! Plus, with the track record of horror remakes and how they’ve come and gone leaving the original still as loved and respected as it was before and the remake just being an embarrassing footnote, it will probably be the same case here. 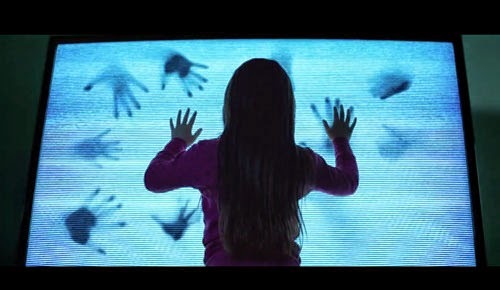 Perhaps this new Poltergeist will do something new with the story, but judging from the trailers it simply looks like a play by play repeat with added special effects thrown in. Repeat and rinse. A massive earthquake hits California creating millions, upon millions of dollars worth of special effects destruction. Plenty of fun CGI-filled eyecandy for audiences, but to our main character Dwayne Johnson it’s no joke and he must navigate through this shaky state to rescue his daughter. Tons of disaster scenarios threaten his life while most likely a bunch of single named supporting pals will meet their demise when a building falls on them or they get swallowed up into the ground and stuff like that. Let’s just call this Earthquake: The Rock. It used to be the famed disaster films of the 70’s would have a huge cast of characters we could follow around on their disaster ordeal. Now it’s just enough to have Johnson be the star and load the screen with a lot of effects. This looks like it’s this years Into The Storm or 2012, where all allure is seeing what Hollywood’s computer guys can whip up and how they’re going to go about destroying recognizable landmarks. This will probably do better than Into The Storm, but not be as huge as 2012 was. Maggie: After over 32 years and a fair share of hits and duds, Arnie has finally embraced his age and he has gone indie. And I for one am saying, why the hell not. Arnie is no Olivier that's for sure, but you never know, he might now be able to pull it off and he's getting good support from Breslin (man she's has filled out) However I'll wait for this to be released for home viewing. With tickets going up in price, I limit myself to films which I'm either really really waiting for (this year it's SPECTRE) or films that have to be seen on the big screen (ie Avengers) Sure I'm persuaded to see the odd re-release but I find it cheaper to find waiting out the extra months and either renting the film, or purchasing a cheap copy of ebay. Poltergeist: Yet another horror remake. After Texas Chainsaw, and now Poltergeist, if some Hollywood executive actually announces a remake of Tobe Hooper's Lifeforce, than civillisation will no doubt crumble. A major pass for me. Ant Man: Paul Rudd does a Marvel film…. Still it's being helmed by Edgar Wright (oh no wait, it isn't) Wait for the blu-ray. Sorry I forgot to add; Mission:Impossible-Rogue Nation is probably the only other film I'm looking forward to see this summer. M:I-1 may still be best entry in the series, but after the stinker that was M:I-2, the third and especially the fourth entry have really redeemed this series, if Rogue Nation is anywhere near as good and exciting as the last film, than bring it on. 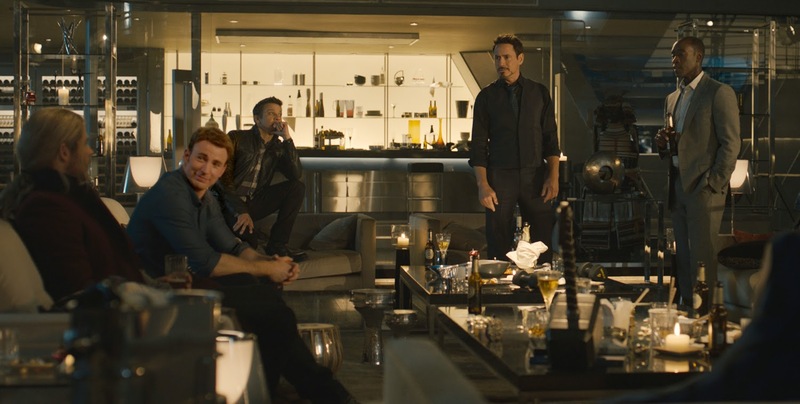 Saw Avengers last night, and whilst it was very good and entertaining, it was no where near as good as the first film. 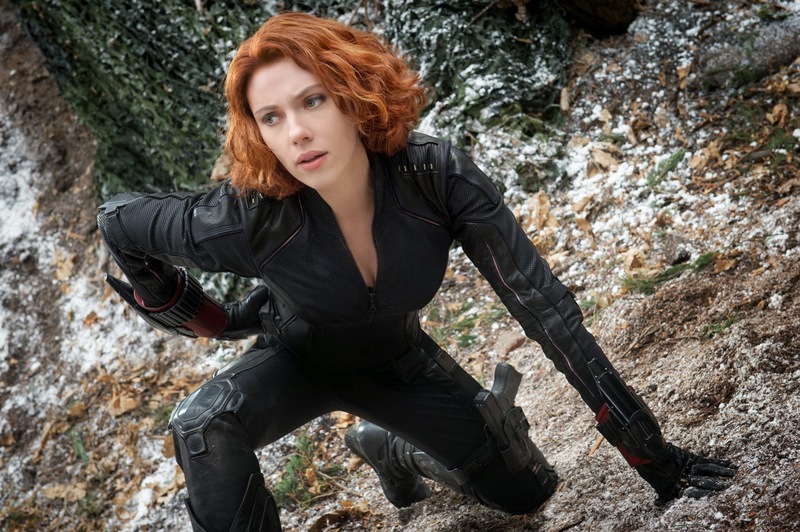 Everyone was good in their roles, and Spader's Ultron was a very frightening and witty villian, but Olsen as Scarlett Witch was a bit of a let down. She tries her best, but it's not good enough. The same goes for Aaron Taylor Johnson, but still the guy could have done far worse. Due to this film he turned down the main role in 50 Shades (which was directed by his much older wife Sam Taylor Wood) Sure his performance was flawed, but it could have been a hell of a lot worse. The film itself was interesting and entertaining enough, but the novelty factor is beginning to wear thin. Now that Whedon has confirmed he might not return for the third entry, I wonder how the enivitable third film will play out, now that (spoiler alert) certain characters are replaced. I don't really care about the MCU, they're all the same. I may check out Avengers at some point though. 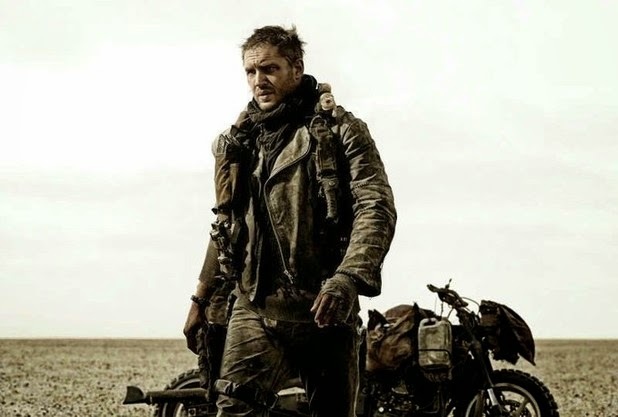 Everything I've seen about Mad Max so far has been really good. And Tom Hardy is an excellent actor. So, I'll definitely go see that. 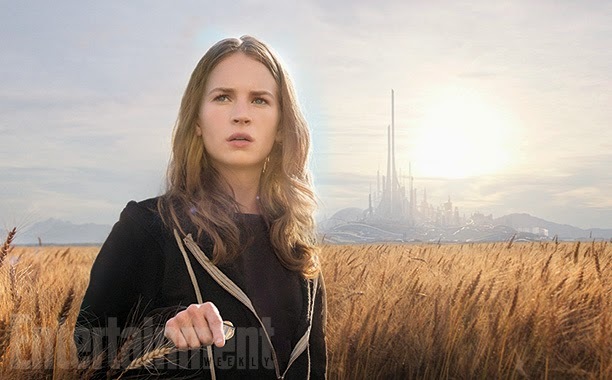 Tomorrowland may be my most anticipated film of the summer. It looks different. Plus it's directed by Brad Bird. The others I'm not interested in.